Click above to visit the most charming, picturesque towns in the region! Enjoy Winter in the region! Delight your palate in local surroundings. Embrace the history throughout the Region. Indulge into a variety of events. Explore beautiful landscapes across the Region. Travel to a multitude of convenient shops within walking distance. America&apos;s best minds have been visiting and meeting in Princeton, New Jersey for more than 200 years, from the first sessions of the Continental Congress to today&apos;s conventions, events, shopping, family activities, and corporate outings. 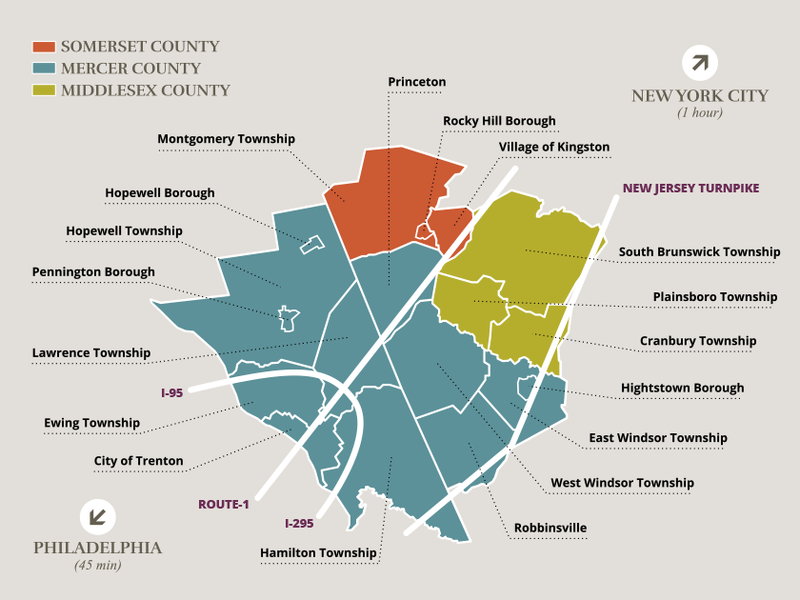 The Princeton-Mercer Region is an idyllic area filled with abundant amenities and is located within an hour of two major metropolitan areas -- New York and Philadelphia.